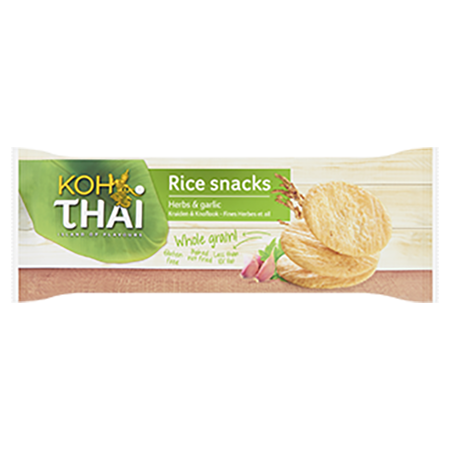 Create an authentic Thai meal at home – delicious every time. 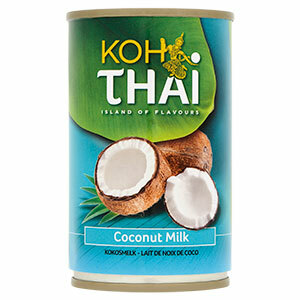 Start with Koh Thai ingredients: curry pastes, coconut milk, fish sauce, chili sauce, or Stir Fry sauce. 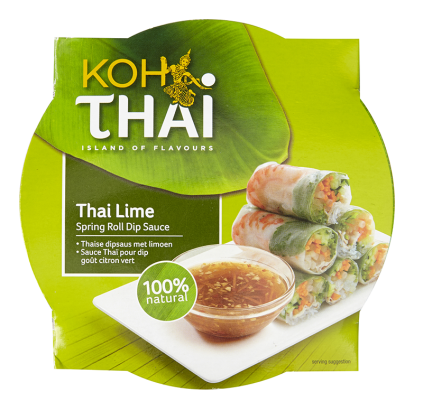 Round out your menu with ingredients for spring rolls. 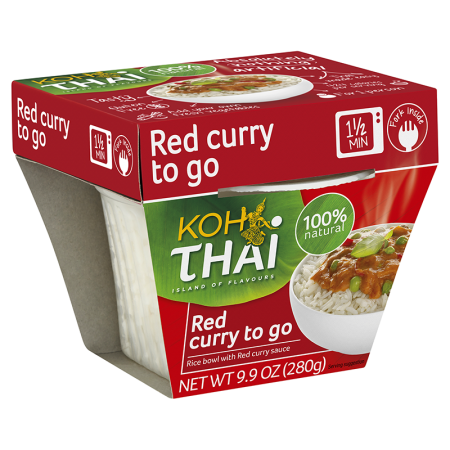 And if you’re on-the-go (like most of us these days), dine on our delicious Curries to Go – pop one into your microwave and it’s ready in under two minutes. 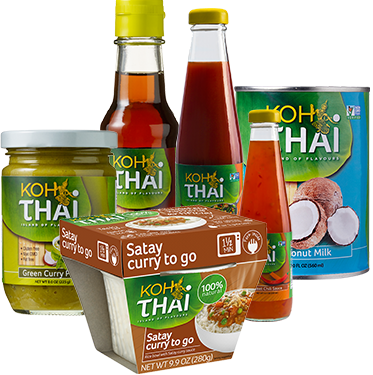 Find Koh Thai in stores and on Amazon. 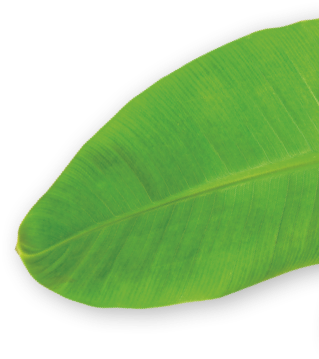 Delicately flavored with lemon and lime. 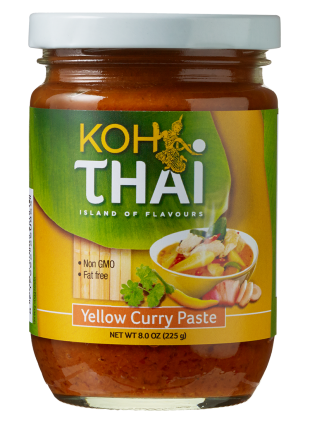 Yellow curry paste is the mildest in the Koh Thai range. 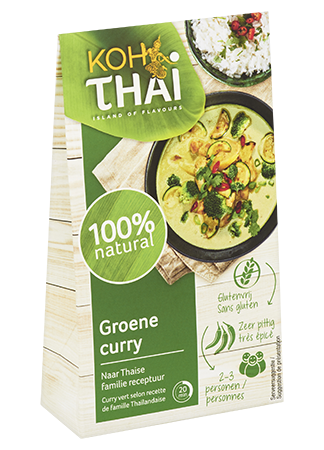 Mild, with a hint of spice, not as fiery as our green curry. 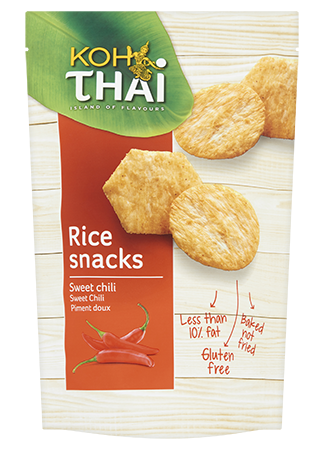 Spicy with bold notes of garlic and ginger. 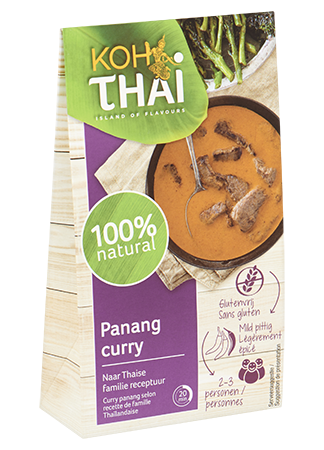 The tastemaker of Thai cuisine, adds flavor to any dish. 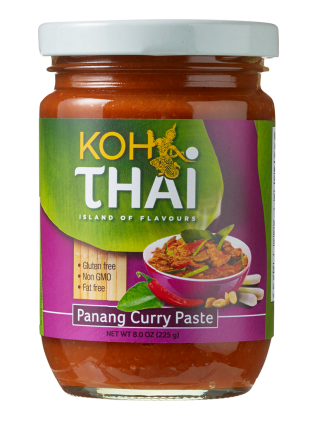 Add to curries, soups, sauces, or satay. 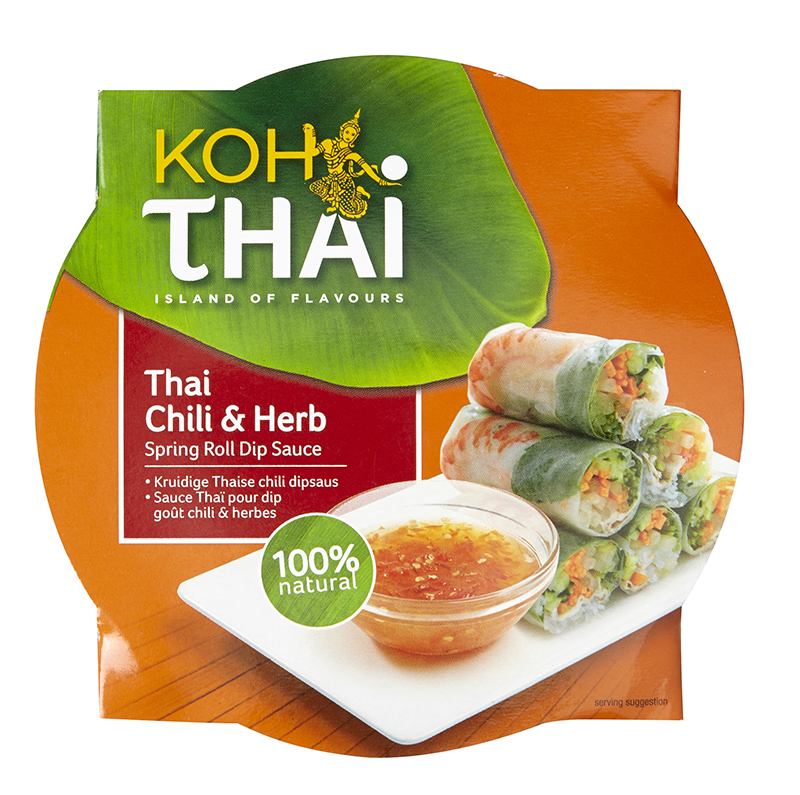 Fill them, roll them, eat them... enjoy! 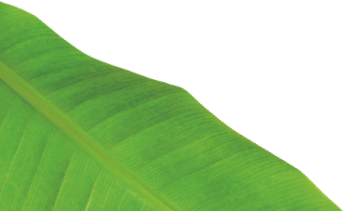 Sweet with a snap of fresh lime. Sweet with a blend of herbs and spices. 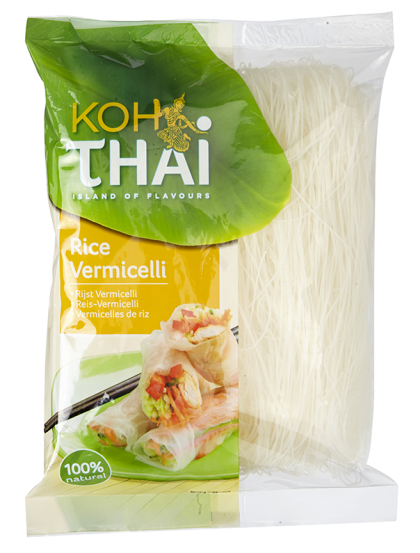 Rice noodles, perfect for spring rolls. 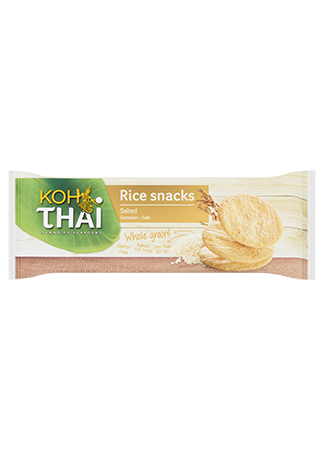 Fill them, roll them, eat them...enjoy. 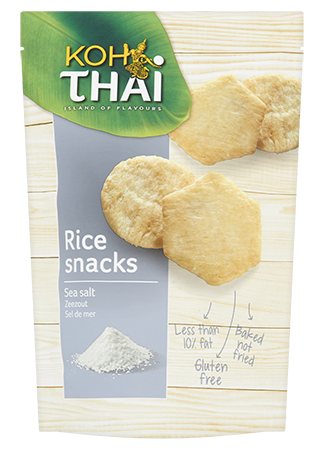 A snack as it is intended, without unnecessary additives and also gluten-free! 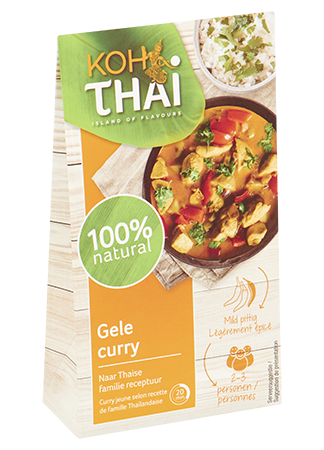 A milder curry, based on Thai family recipes. 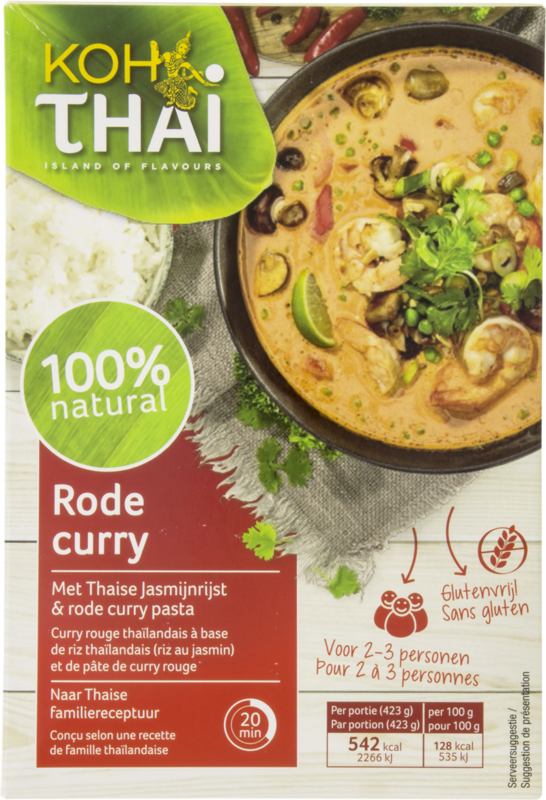 A spicy curry, based on Thai family recipes. 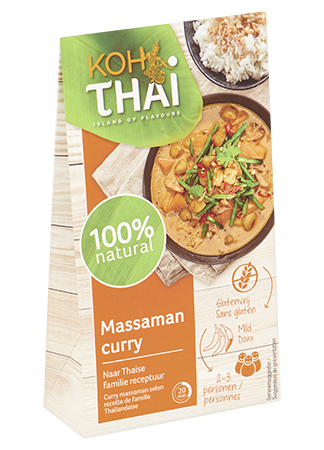 A wonderfully mild spicy curry, based on Thai family recipes. 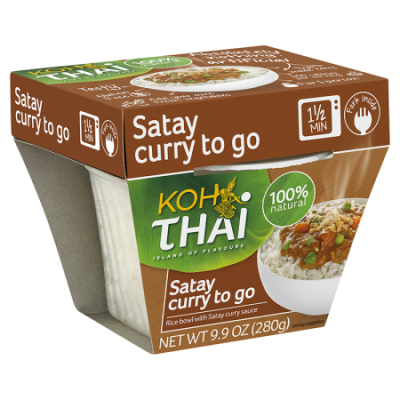 A mildly spicy curry, based on Thai family recipes. 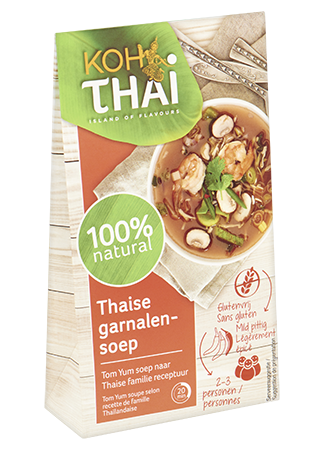 A mild Thai shrimp soup based on Thai family recipes! 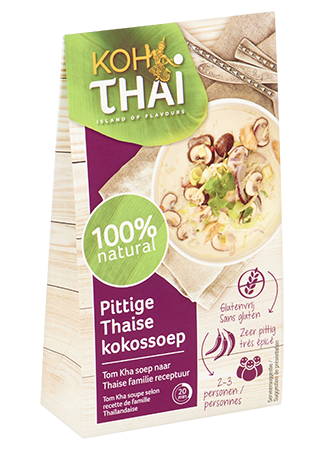 Spicy Thai coconut soup according to Thai family recipe. 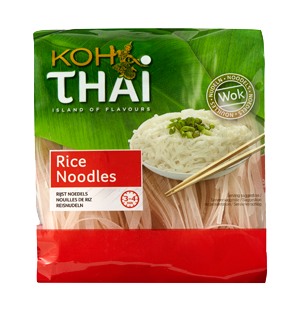 Delicious as a dip with chicken and spring rolls or as a seasoning in a sauce or marinade. 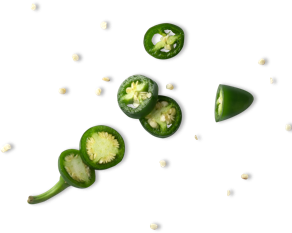 Hot green chili peppers with hints of garlic. 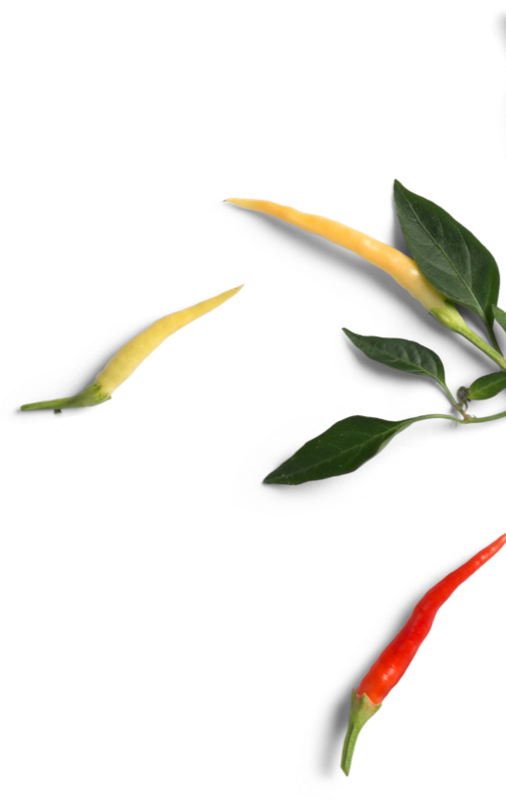 Sun-ripened red chili peppers - it’s hot! 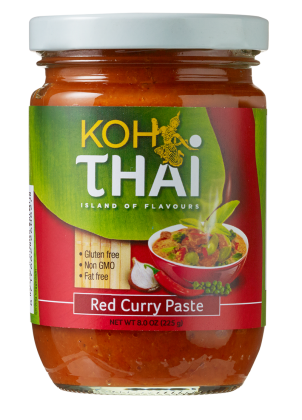 Blend of spicy, tangy, and sweet. 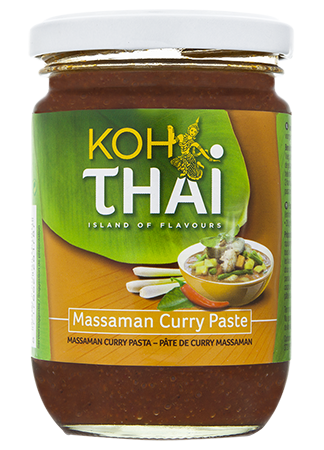 Enhances the flavor of your stir fry dishes. 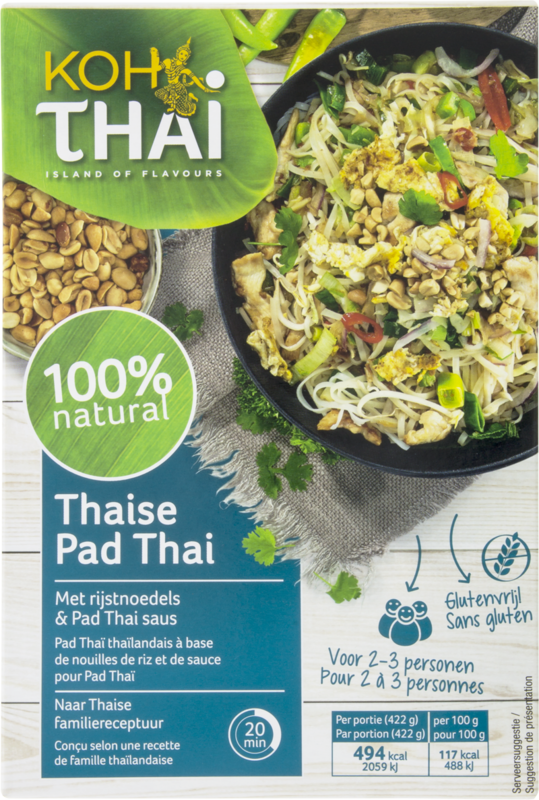 Create authentic Pad Thai at home. 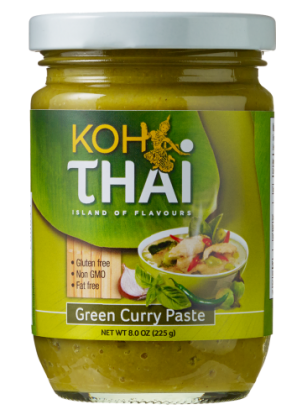 Green pepper, lemongrass, galangal, coconut, fish sauce. 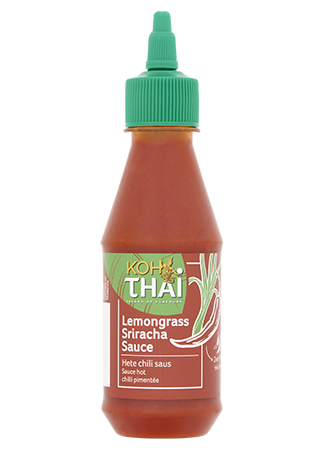 Red pepper, mint, lime leaves, garlic, ginger, lemongrass. 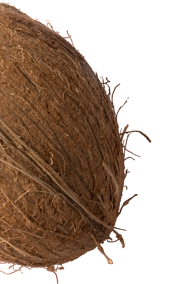 Coconut, fish sauce, peanuts, tamarind, lemongrass. 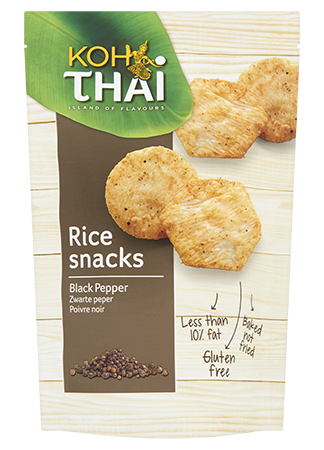 Roasted peanuts, tamarind, lemongrass, tangy spices. 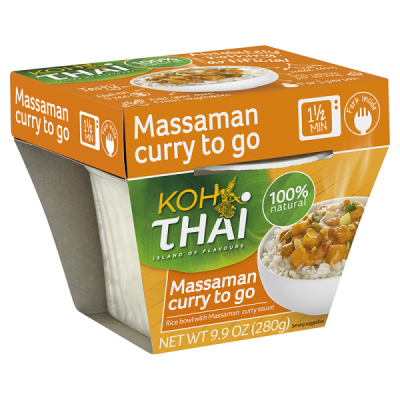 With the 100% natural meal package from Koh Thai you can easily put an authentic Thai massaman curry on the table. 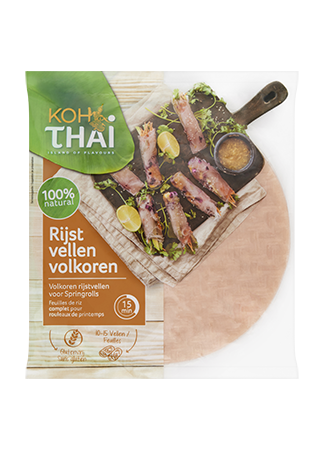 With the dish you serve 200 grams of vegetables per person! 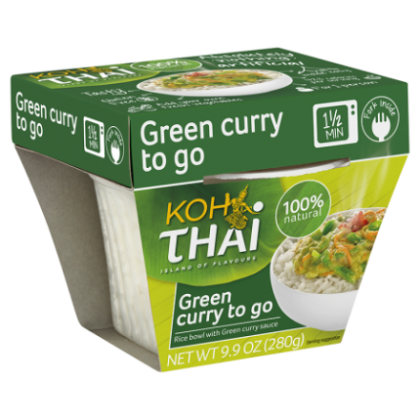 With the 100% natural meal package from Koh Thai you can easily put an authentic Thai green curry on the table. 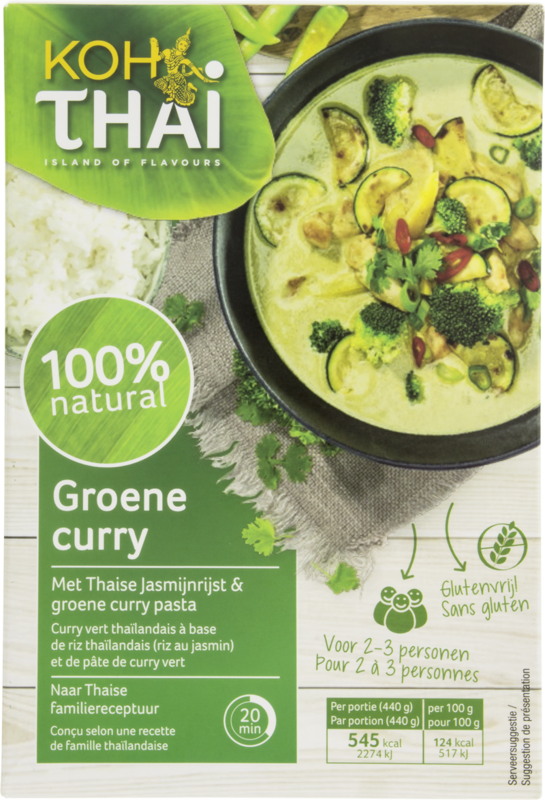 With the dish you serve 200 grams of vegetables per person! 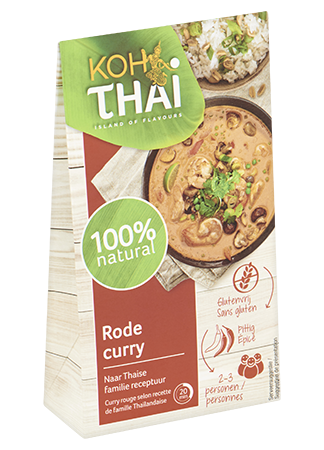 With the 100% natural meal package from Koh Thai you can easily put an authentic Thai red curry on the table. 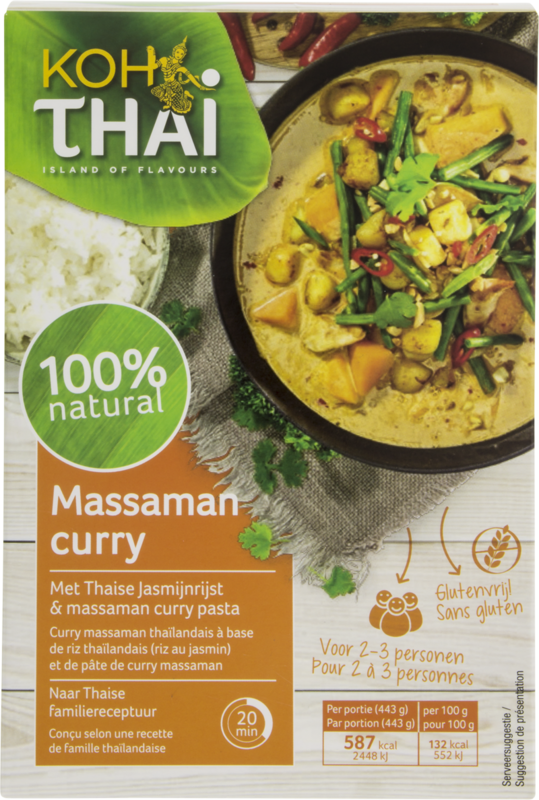 With the dish you serve 200 grams of vegetables per person! 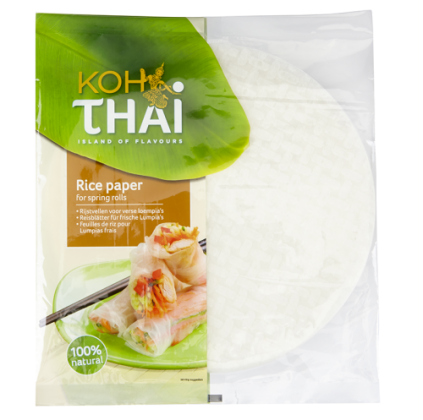 With the 100% natural meal package from Koh Thai you can easily put an authentic Thai Pad Thai on the table.